The science fiction site io9 called Democracy one of the best graphic novels of the year. A graphic novel tells the tale of how democracy came to be. Increased voter abstinence, the rise of the extreme right, exorbitant taxes, widespread disappointment among citizens: democracy is being shaken to its core in the country of its origin. 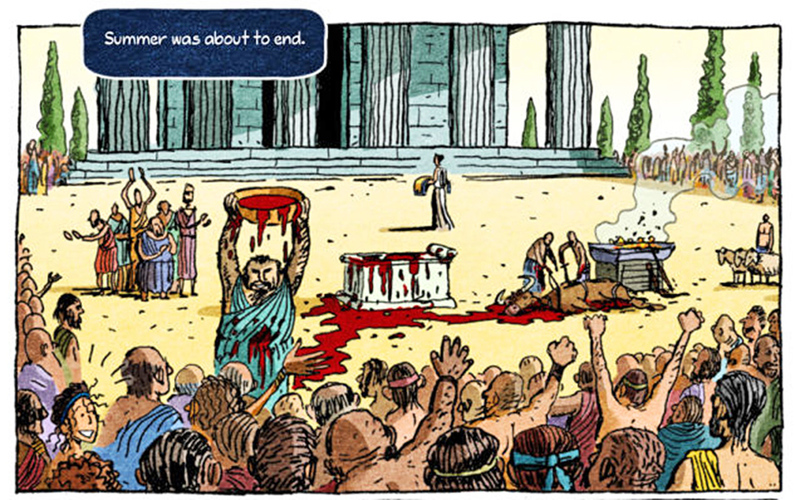 So the release of Democracy, a graphic novel describing the birth of this system of government in ancient Greece could not be more timely. Its creators are Alecos Papadatos and Annie Di Donna, the illustrators of Logicomix by Apostolos Doxiadis and Christos Papadimitriou. 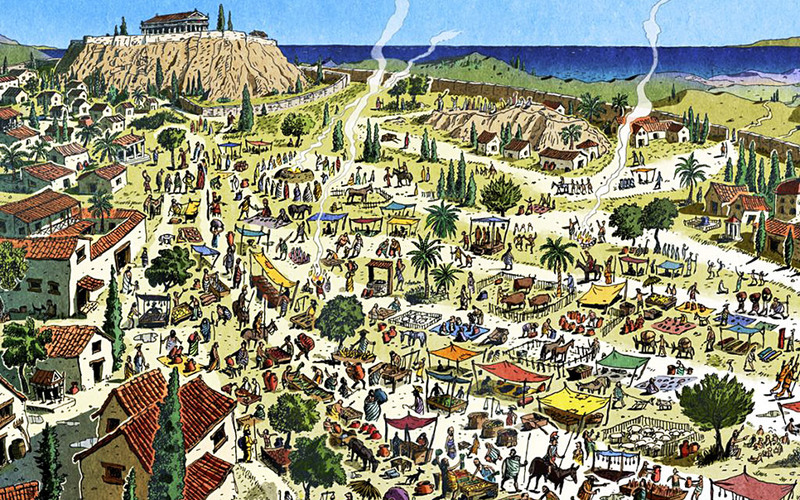 The main character of the comic is Leandros, a young painter who, having himself witnessed the horrors of tyrannical regimes, tries to boost the morale of his companions shortly before the Battle of Marathon (490 BC) by recounting the story of the birth of democracy as experienced by himself. “Strangely, no other pop culture medium has ever dealt with this story, either because it’s a complex topic or because other achievements of 5th and 4th century BC Greece usually steal the limelight. It’s a story worth narrating. Of course, the tale unfolds many centuries ago and historical sources are not always accurate. So wherever our research couldn’t fill in the gaps, we used our imaginations,” says Papadatos. The plot of the comic has been endorsed by writer and theorist Abraham Kawa. “Abraham has the rare gift of keeping one foot in analysis and the other in composition. He has a mania for comics and movies! He also has an annoying talent for knowing which volume and on which page of Sandman by Neil Gaiman certain events happen, or how many plot twists a specific issue of Batman contains. He took the story of Democracy and enriched it,” Papadatos reveals. The original version was in English by Bloomsbury, since the creators first wanted to reach out to the English language market. The work has received rave reviews in the foreign press. The science fiction site io9 called it one of the best graphic novels of the year. “I’ve never read anything that so astutely, so perfectly encapsulates this paradox of human desire ‒ the need to be free and yet to be secure ‒ and how what should be the most obvious and noble of ideas often requires cunning, courage, and even bloodshed to accomplish,” wrote critic Rob Bricken on the site. “Democracy follows in the footsteps of Logicomix: knowledge through storytelling,” explains its creator Alecos Papadatos. * Originally published in Kathimerini’s K magazine.